"He that would have fruit must climb the tree." We have two board-certified surgeons with more than 35 years experience in bariatric surgery who will work to give you the best possible care not only around the time of surgery, but with life-long follow-up. Dr. Smith has been involved with the development of laparoscopic techniques for the Duodenal Switch procedure. He was the third surgeon in the world to perform the totally laparoscopic Duodenal Switch, and has now performed over 700 of these totally laparoscopic Duodenal Switch Procedures. He has also done over 1200 laparoscopic Roux-en-Y Gastric Bypass procedures and hundreds of Sleeve Gastrectomy procedures as well. He was the first bariatric surgeon in the world to present the Hand-Sewn Duodenal-Ileal Anastomosis technique for the Duodenal Switch, and he has presented his techniques and results with the Totally Laparoscopic Duodenal Switch procedure at national and international meetings of bariatric surgeons. Dr. Smith continues to be an authority on the performance of the laparoscopic Duodenal Switch, the Sleeve Gastrectomy, and on the performance of high quality bariatric surgery in general. 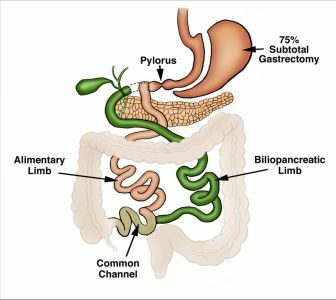 He is also very involved with teaching laparoscopic bariatric surgery techniques to other bariatric surgeons, especially the Sleeve Gastrectomy, the Sleeve Gastrectomy with Duodenal Switch, and laparoscopic suturing techniques. Dr. Smith has served as a Committee member in both the American Society for Metabolic and Bariatric Surgery (ASMBS). and the Society of American Gastrointestinal Endoscopic Surgeons (SAGES). Currently he is serving as a site surveyor for the MBSAQIP Center of Excellence Program for bariatric surgery programs.